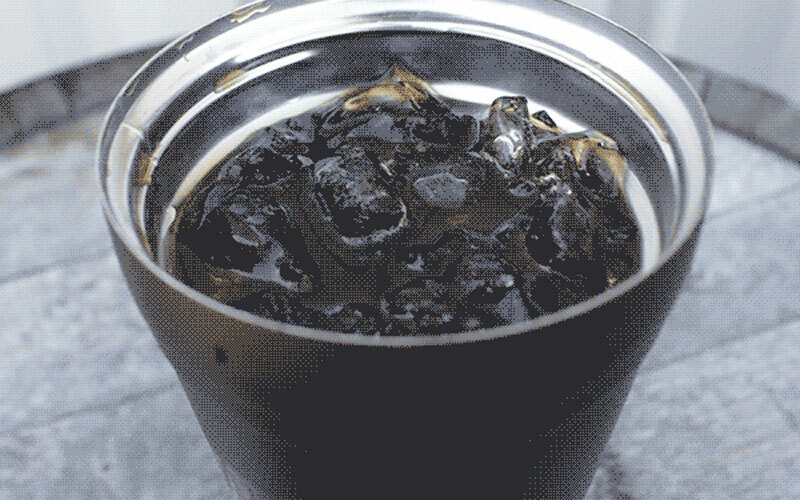 What's the best way to make iced coffee? I'll tell you right now, it's not using leftover coffee and putting it in the refrigerator. What is leftover coffee, anyway? I'm not sure that there is such thing. If you're looking to up your iced coffee game with a stronger taste, cold brew is the answer. You don't have to go to your local coffee shop to get a good tasting cold brew, either — you can make it right at home. 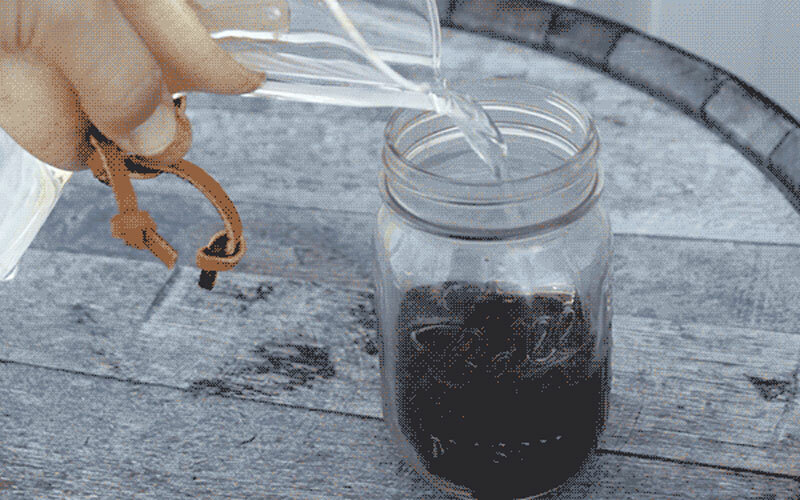 After a few simple steps, you'll have the most incredible, easy cold brew you'll ever make. If you made enough for more than just one, filter it over the container you will be storing it in. It stays fresh for days, but I wouldn't keep it over a week. We all know it won't last that long anyway. And if you don't feel like making your own cold brew, we got you: Coming soon is Death Wish Coffee Cold Brew, canned and ready to go when you are. 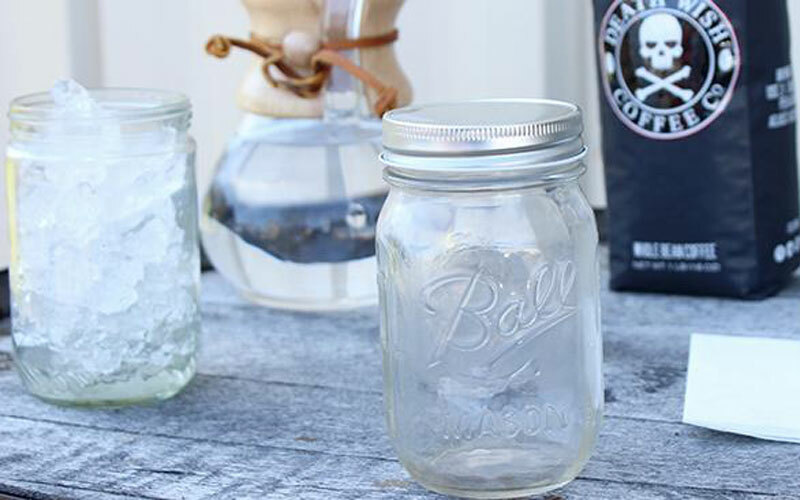 Fill your mason jar (or any container) a third of the way with coffee. The best thing about cold brew is that it is forgiving. Eyeball it, you're a risk taker. You've got this. 2 Grind coffee coarse. Grind fresh coffee coarse (about 6 seconds in your grinder). Coarse coffee will make it taste the absolute best. After all, pre-ground coffee is too fine for this method. 3 Add water. Fresh, filtered water below 40 degrees should be used. 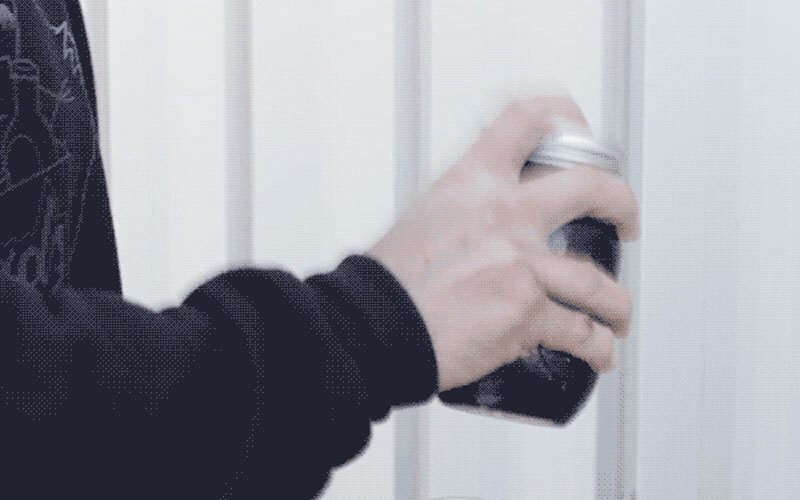 Fill up the rest of the container. The less water you use, the stronger it will be. 4 Shake it up. Make sure the grounds are fully mixed with the water. 5 Let it steep for 24 hours. Now we wait for 24 hours. Shake it every once in a while to prevent separation. 6 Filter out the coffee. 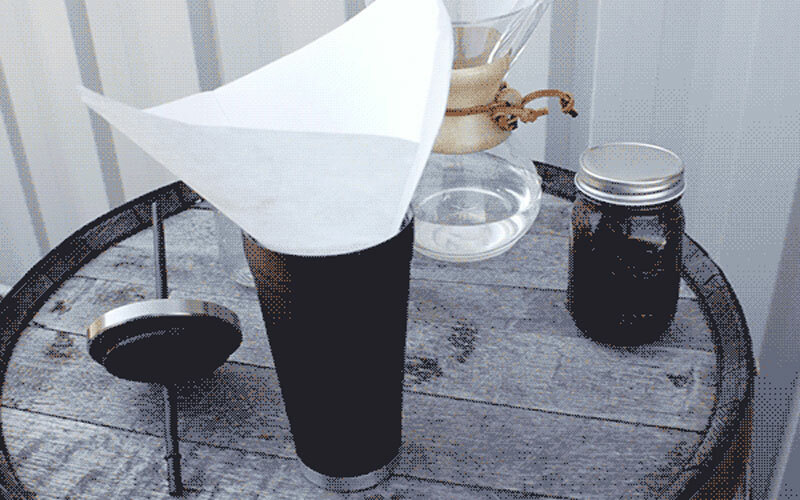 Using a coffee filter, pour your cold brew into a mug or glass. A regular coffee filter will work, but a Chemex filter is best if you have it.